Young et al. (2003) refer to the critical punitive and the demanding parent modes as negative internalized representations of parents and other significant figures. Since there are several parental styles (e.g. Maccoby & Martin, 1983) it is conceivable that there are much more internalized dysfunctional parent modes than the two suggested by Young. Young et al. (2003) instruct therapists to help patients battle and defeat their internalized dysfunctional parent modes. Many patients and therapists find combating the parent voices makes them needlessly critical and punitive themselves. The hierarchy of confrontational interventions enables matching the intervention to the severity of the dysfunctional parent mode. As with real parental coaching, when the parent-child relationship is not that devastating, the hierarchy starts with empathic confrontation. Empathic confrontation (Young et al., 2003) enables therapists to acknowledge the past circumstances that led patients develop their schemas and coping strategies (the empathic component), while pushing for reality testing, distinguishing past from present and confronting the need for change (the confrontational component). I would emphasize that the empathic component should validate the core emotional needs underlying the schema; the confrontation should address the maladaptive coping behavior. Validation makes patients feel genuinely understood by the therapist and appreciate their core emotional needs and thus more receptive to the confrontational part which helps patients change their behavior to better realize their needs in the preset relationships. Characteristics: This internalized parent is immature, naïve, easily influenced by others, tends to accept people and circumstances as they are. This mode fails to teach right from wrong, anticipate consequences, provide guidelines for handling everyday life situations, and supply sense of safety. Therapist stance: The therapist can validate the parent's acceptance of the child and their enthusiasm to spend time with the child, as well as feeling puzzled when they need to provide guidance to the child: "I can see how happy you are to spend time with your child until it gets more complicated and then you feel puzzled. Is there someone with enough experience that you can consult with? If there is no one I will be happy to guide you how to meet your child developmental needs". Characteristics: This internalized parent is highly anxious, worries things will go wrong, and overwhelmed with images of bad outcomes. This mode becomes over protective, intrusive, and fails to let the child mode practice some sense of competence and separation. Patient's unmet needs: Autonomy, competence, sense of identity; spontaneity. Therapist's stance: The therapist can validate the parent wish for an inner sense of safety regarding the child, while understanding that the child must develop the ability to take good care for him/her self. The therapist can instruct this mode to practice anxiety regulation techniques and guide them to encourage self efficacy and resilience in the child by helping them to take calculated risks and develop problem solving skills: "Of course you care for your child’s safety and yet you want him to become a self reliant adult with full ability to take good care for himself. To achieve this precious goal we, the parents, need to contain our fears, acknowledge them without acting upon them, and bit by bit free our child to experience life and develop some sense of competence. I know that can be difficult. Will you try that for the sake of your child?" Characteristics: This internalized parent is more like a friend of the child. Usually holds a stance that children have to fallow their inner inclination with minimum interruptions from their environment. The parent tends to praise, admire and even aggrandize the child but sets almost no standards of mature behavior, self regulation and discipline, expectations for sustaining immediate gratification for the sake of long term achievements. This mode resembles Baumrind's indulgent parenting style (Baumrind, 1967). Patient's unmet needs: Realistic limits and self control. At this level it is more difficult to validate the internal parent's good intentions. Usually the internalized parent blames the child for his/her own wishes, or pushes him/her to meet unrelenting standards. The internalized parent lacks empathy for the child's emotions and may become more argumentative or rigid when someone expresses disagreement with them. At this level the therapist is more assertive in providing guidelines for the treatment of the vulnerable child, and may need to set limits to protect the inner child. Characteristics: This internalized parent believes that others are responsible for his/her bad experiences; feels entitled and demands being taking care of; or uses his/her suffering to keep others emotionally tied to him/her. This parent mode depends on the vulnerable child to feel safe, belong and loved. When the vulnerable child tries to stand for his/her rights the internalized victim-like parent mode turns to accusation, emotional or sick-role behaviors to restore his/her grasp upon the vulnerable child. Patient's unmet needs: Autonomy; freedom to express valid needs and emotions; authenticity, spontaneity and play. Therapist's stance: The therapist can acknowledge the internalized parent need for love and care while setting limits and giving instructions allow the child to practice separation individuation according to the developmental tasks: "I can see how hard is for you to see your child grows to be separate human being who may feel, think and wish differently from you. You might be sure it causes all the pain and trouble you have. Your child cares for you but you need to take responsibility for your own well being. I want you to free your child to discover his own inclinations and I will be here to stop you whenever you cross the line by tying your child too close to you". Characteristics: This internalized mode sets unrelenting expectations and standards in areas such as achievements, moral behaviors, devotion, punctuality, perfectionism, efficiency, pragmatism etc. This mode criticizes by means of verbal, tone of voice, disapprove facial and body expressions and induces sense of guilt, shame and failure in the vulnerable child mode. Patient's unmet needs: acceptance, competency, spontaneity and play. Therapist's stance: The therapist can acknowledge the inner parent best intentions for their child, but needs to confront the criticism that crushes the inner child’s sense of worth, competence, creativity and wellbeing: "I know you want the best for your child but your criticism crushes your child potential to prosper. I want you to stop criticizing and change your attitude by addressing your child needs for acceptance, competency and creativity. You can start by giving praises, compliments, encouragement for creativity, and embrace mistakes and difficulties." At this level little if any room is left for validating the internal parents’ intention. These dysfunctional parent modes cause such profound harm that immediate action is needed to stop and expel them in order to save the vulnerable child mode. Usually these parent modes are internalizations of a very disturbed significant figure that is not capable of taking care of the inner child. The therapist needs to intervene immediately and engage other authorities such as social services, police etc. Characteristics: This internalized mode is aloof, disengaged, and practically neglects the child's emotional basic needs and assumes little if any parental responsibility. 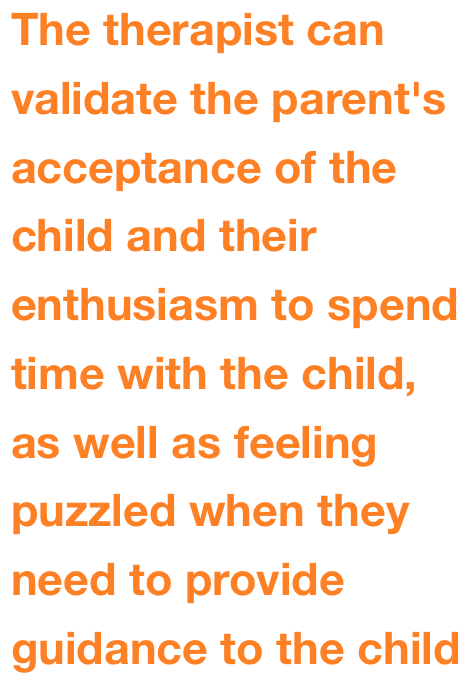 This parent mode is based on Maccoby & Martin (1983) neglectful parental style. Patient's unmet needs: The child’s emotional needs are not met because the attachment figure is emotionally absent. 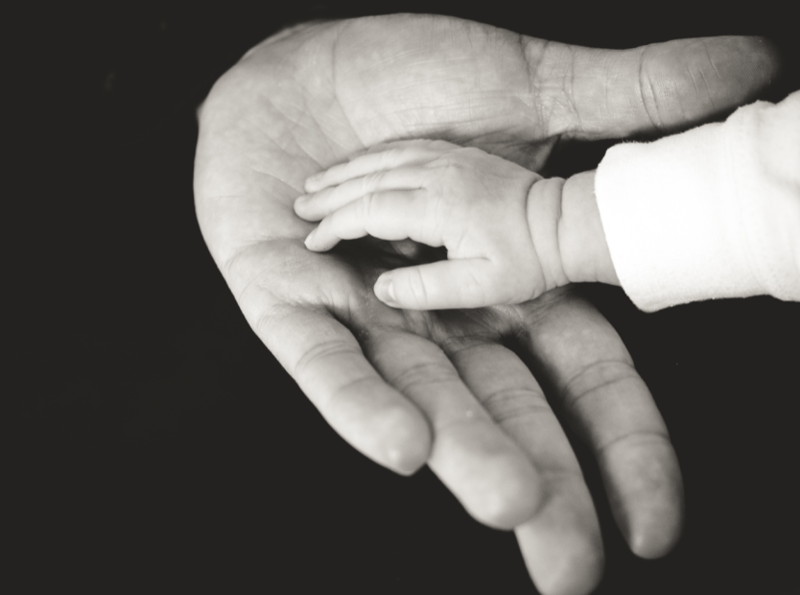 Therapist's stance: The therapist needs to confront the neglecting parent mode and engage healthier figures to take care for the vulnerable child. Usually healthy figure needs to step-in and some form of internal foster care arrangement may be considered: "Your child needs to be taken care of by engaged person who will pay attention to the child's emotions and supervise his behaviors. I want you to be engaged as much as you can but in the meanwhile Mr./Mrs. Y will be involved. Don't sabotage this arrangement for the sack of your child. The social services will be involved to help this arrangement work." Characteristics: This internalized mode is unstable, unpredictable, disorganized, frantic, and emotionally labile. This mode is so self absorbed in his/her own problems and has no capacity to take into account another person, not even their own child. Living with this person is frightening and paralyzing, and makes the vulnerable child mode constantly alert. Patient's unmet needs: No emotional needs are met, especially those for secure attachment, realistic limits and self-control. 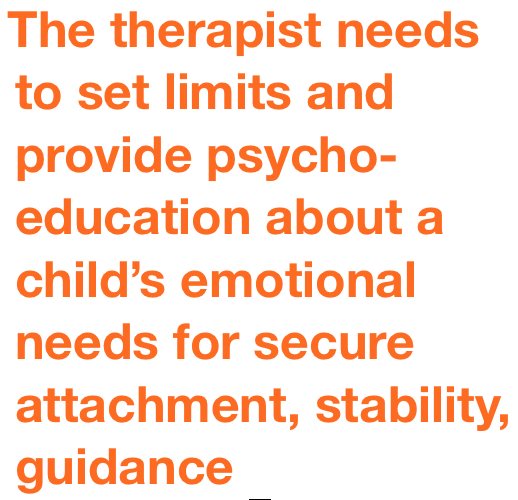 Therapist's stance: The therapist needs to set limits and provide psycho-education about a child’s emotional needs for secure attachment, stability, guidance etc. 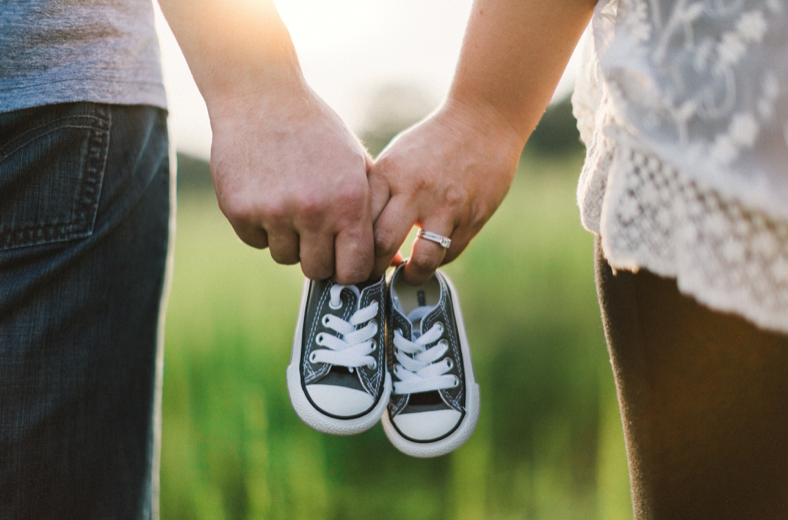 The therapist limits or minimizes the impact of the chaotic parent mode by engaging healthier figures (such as relatives) to protect and nurture the vulnerable child mode. The social services may need to arrange foster care: "I can see you have a lot on your mind and you are in a great need for help which I'm willing to arrange for you. But right now we have to take good care for little (child)’s need for stability and a sense of security. Mr./Mrs. Y (healthier relative) will take care for little X (child). You may be in contact with your child under the supervision of Mr. Y. Youneed to put yourself together and take some professional help. The social services will bepart of this program to help you and protect little X". Characteristics: This internalized mode is the worst form of the dysfunctional parent modes. Almost always this figure is severely mentally disturbed or suffers from severe personality disorder and is not capable of parenthood. This internalized mode humiliates exploits, intimidates, physically/sexually abuses and is very cruel toward the inner child. It is unbearable to live next to this figure. This is an extreme version of Young's punitive parent mode (Young et al., 2003). Patient's unmet needs: All the emotional needs are unmet but most of all the need for a secure attachment. The confrontational hierarchy is a spectrum of interventions tailored according to the internalized dysfunctional parent mode's severity. Matching intervention depends on three axes and the interaction among them: 1. Reality axis – rate of severity and danger in actual relationships; 2. 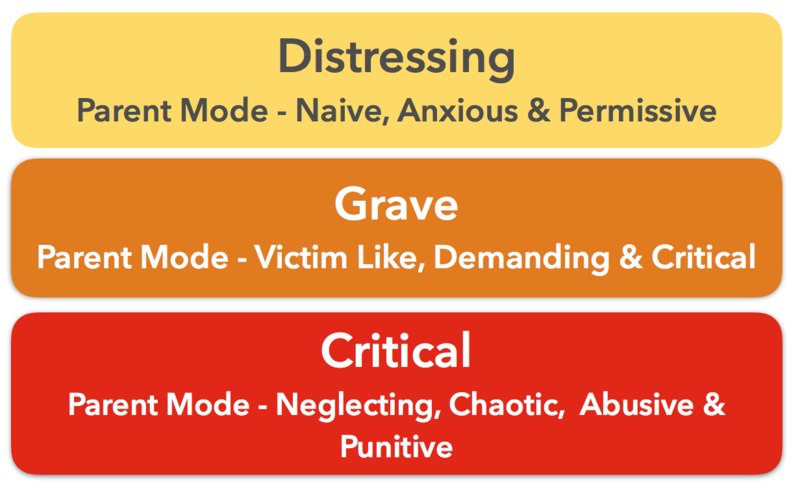 Internalized relationships axis – rate of dysfunctional parent mode's severity (distressing, grave, critical); 3. Therapy stage axis – starting phase may require implied confrontation due to the fragile therapeutic alliance. Gradually the confrontation may become more explicit as the alliance grows stronger. Eventually engaging the healthy adult mode is advisable as it become more prominent in therapy. These interventions, which blend validation and confrontation, empower the healthy adult mode by allowing the patients to rebalance between the need for connectedness and the need for being unique individuals who know how to take good care of themselves. 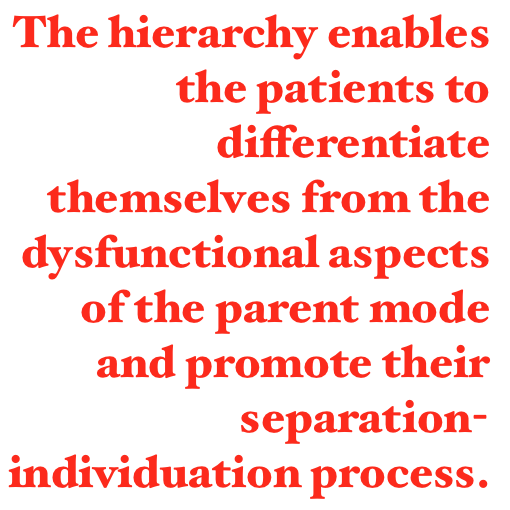 The hierarchy enables the patients to differentiate themselves from the dysfunctional aspects of the parent mode and promote their separation-individuation process. Baumrind, D. (1967). Child care practices anteceding three patters of preschool behavior. Genetic Psychology Monographs, 75, 43–88. Young, J. E., Klosko, J. S., & Weishaar, M. E. (2003). Schema Therapy: A Practitioner’s Guide. New York: The Guilford Press.